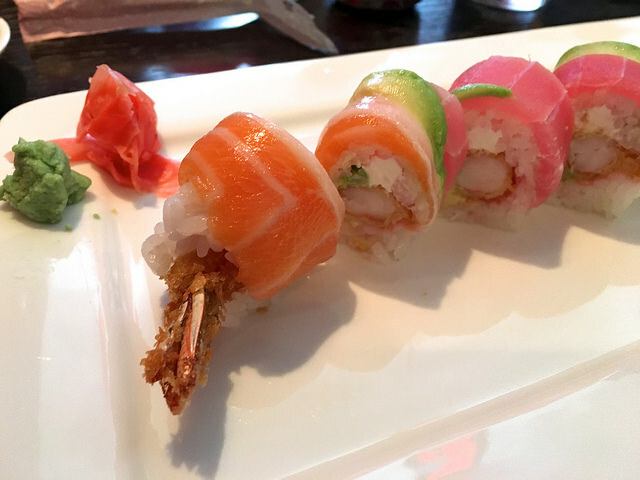 Genji Sushi is located inside the Annapolis Whole Foods, and local sushi lovers say that it's worth stopping by whether you need to do some grocery shopping or not. The sushi here is made fresh to-order all day long, which is part of what makes this a popular place among lunch-goers seeking a quick bite to eat. At Genji Sushi, you'll find all the standard rolls and sashimi on the menu, including spicy tuna rolls wrapped in seaweed, classic Philadelphia rolls with smoked salmon and cream cheese and all-veggie cucumber and avocado rolls. You can even get a free taste if you'd like to sample something, so don't be shy about asking the chefs, who have a reputation for being friendly and accommodating. With a casual yet elegant atmosphere and an extensive menu of Japanese favorites, Genji Sushi offers lunch and dinner for any occasion.